Mr. Hsia is a registered patent attorney, one of the few patent attorneys in Hawaii. Mr. Hsia practices patents, trademarks, copyrights, trade secrets, right of publicity, computer, licensing, Internet and entertainment law at Cades Schutte. His practice includes advising clients about all aspects of US, foreign and international intellectual property rights; filing and prosecuting US and international patent and trademark applications, and US copyright applications; representing clients (working with the firm’s litigation practice group) in proceedings before US federal courts, the US Trademark Trial and Appeal Board, and the US Patent Trial and Appeal Board; and filing and prosecuting (through an extensive network of foreign correspondents) foreign patent and trademark applications, and prosecuting and defending opposition and cancellation proceedings before the patent and trademark offices of many of the major industrialized countries in the World. 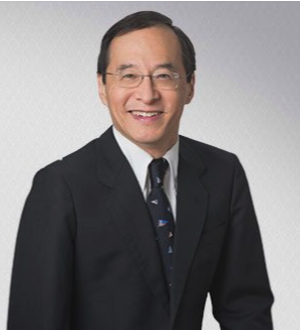 Mr. Hsia has been listed in Best Lawyers in America for over 20 years, and is also listed in Martindale-Hubbell Bar Register of Preeminent Lawyers and Who's Who in American Law. He has given addresses on intellectual property matters to groups as diverse as the American Bar Association Business Law Section, United States Trademark Association, the Chamber of Commerce of Hawaii, the Rotary Club, Innovation workshops sponsored by US Department of Energy, the National Association of Paralegals, a third grade class studying inventions, as well as major colleges and universities, and other organizations. “The Supreme Court’s Intellectual (Property) Year: A Whirlwind Tour”, Hawaii Bar Journal October 2014, p. 26. “Technological Revolution and Patent Law Evolution (Or Devolution? ): The Recent Weakening of Patents”, 14 Hawaii Bar Journal (No. 13) 117 (2011).